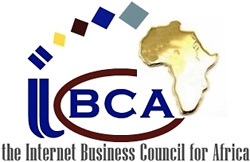 Internet Business Council for Africa (IBCA) delegates attended the EU-Africa 2014 Business Forum today at a crucial time in the relations between Europe and Africa. Africa's growth is attracting global interest, notably from an industrialization and ICT perspective. Europe and Africa have genuine interest in increasing bilateral trade, investment and market integration in mutually beneficial relations, to boost strong sustainable growth and create jobs. However, a common challenge for both Africa and Europe remains the consolidation of sustainable economic growth, in particular to ensure that this growth is inclusive in creating jobs, improving public-private partnership and business climate, and enhancing the development of SMEs. The 2014 EU-Africa Summit brought together more than 60 EU and African leaders, and a total of 90 delegations. The forum thus provided a unique opportunity for African and European companies to network and exchange views on EU-Africa business and investment relations. The landmark forum was attended by the EU Commission Vice-President, Antonio Tajani, together with Commissioner Andris Piebalgs and Commissioner Karel de Gucht. Other high profile leaders included AUC Chair, Nkosazana Dlamini-Zuma, José Manuel Barroso, President of European Commission, who inaugurated the forus with Key note speeches. The Forum offered a high level platform for the private sector to meet political leaders from Europe and Africa. Private sector is taken as the driver of most of the high level investments in Africa especially in telecommunications and ICT, manufacturing and agriculture. Sophia Bekele, the President and Founder of DotConnectAfrica and IBCA commented saying "I am an entrepreneur and entrepreneurs are the future of Africa and should be empowered to work on innovation in the ICT sector for agriculture and in order to minimize government interference which does not motivate entrepreneurs, we need to work with Banks by educating and building capacity for them in this area, so as they can provide loans for farmers as well as support financing for the innovations required." She added "we need to make agriculture a very cool thing for young entrepreneurs to embrace", agreeing with Rebecca Enonchong of AppsTech, who was Co-Chair of the meeting. Delivering his opening speech, José Manuel Durão Barroso the President of the European Commission said that "I believe this is increasingly true all across Africa: a serious focus on stability and good governance — even in a sometimes difficult context — leading to a renewed and realistic optimism among investors, large and small… The private sector has indeed a large role to play and that is what binds this Business Forum with the European Union — Africa Summit later this week."